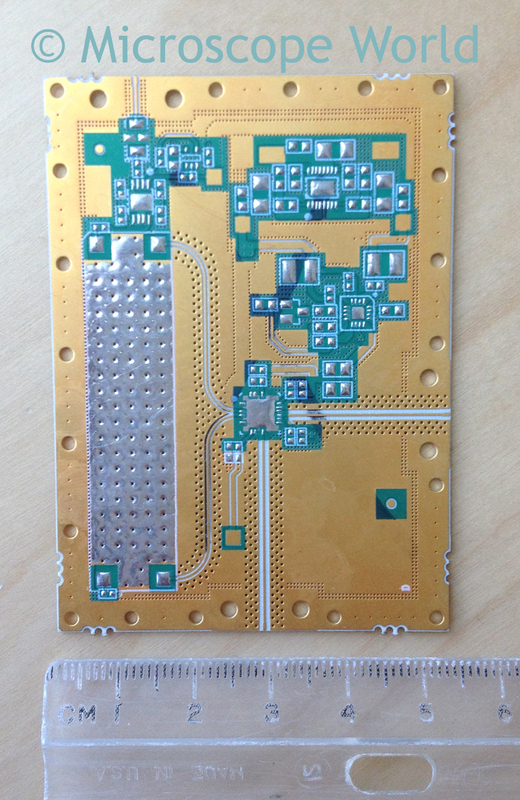 Printed circuit boards have soldering joints on them that must be examined during quality control for defects. In order to view these joints a stereo microscope or a measuring microscope with higher magnification is typically used. 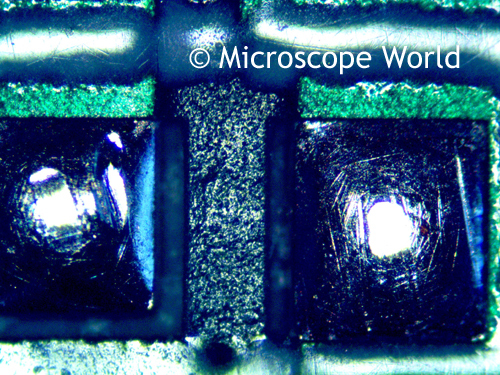 This printed circuit board was examined under the MC70 measuring microscope using the DCC5.1P CCD 5 mega pixel digital microscope camera with software for capturing the images. 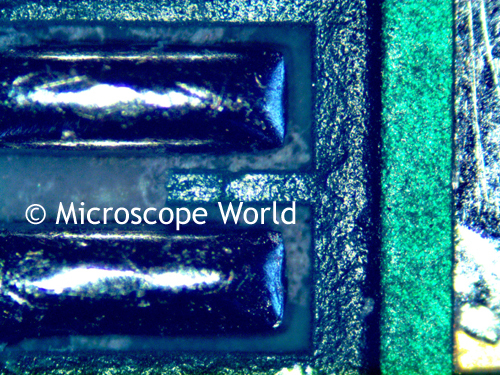 50x magnification - solder joints.